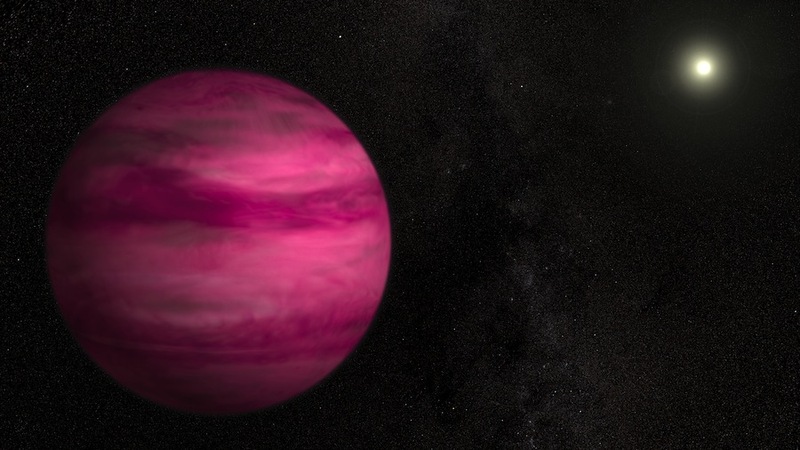 First there was the blue exoplanet found recently, and now astronomers have discovered another colourful world, a gas giant much larger than Jupiter. 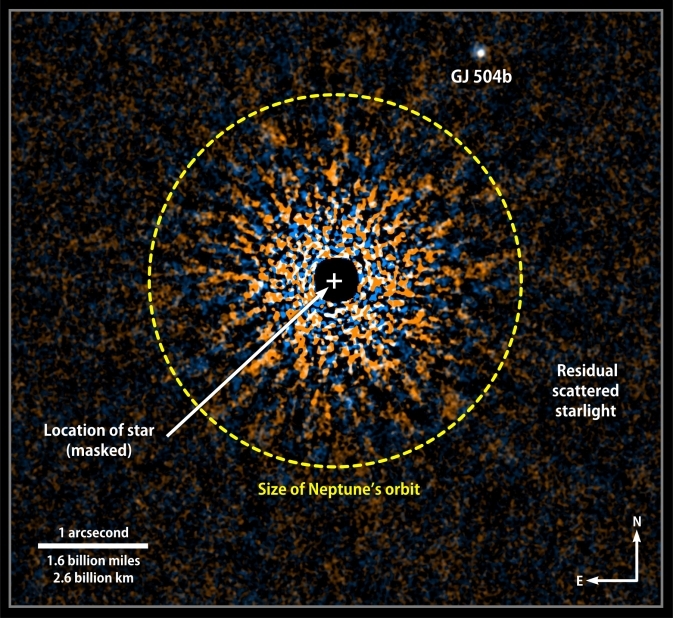 The planet, GJ 504b, orbits the sun-like star GJ 504, about 60 light-years from Earth. It was discovered, and imaged, by an international team of astronomers using the Subaru Telescope in Hawaii. It has been referred to as a “second Jupiter” and has an estimated mass of about three Jupiters, orbiting its star at a distance farther than Neptune in our own solar system. If the calculated mass is accurate, it would be the lightest exoplanet directly imaged so far. The discovery was part of the Strategic Explorations of Exoplanets and Disks with Subaru (SEEDS) Project. The discovery bodes well for being able to directly image Earth-sized planets in the future as the technology continues to improve.A growing number of such worlds have already been discovered using other techniques, but being able to actually see a planet similar in size (and perhaps other ways as well) to our own in another solar system would be exciting indeed. The new findings will be published in The Astrophysical Journal.